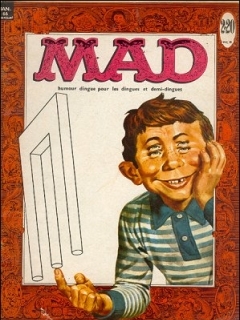 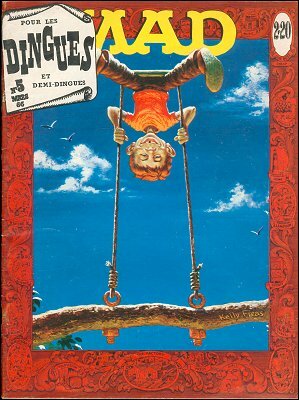 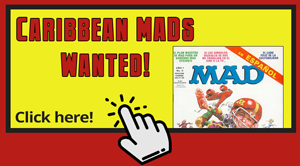 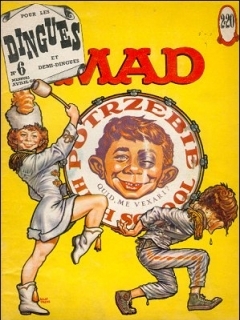 This French version of Mad Magazine was published in France from November 1965 thru June 1966. 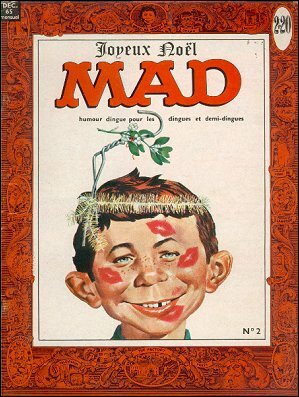 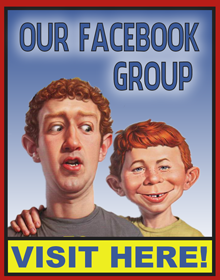 It was a short-lived magazine that met with little success for a number of reasons. First it was a straightforward translation of the contents of US issues, with no editorial sense of how to make the material accessible to a broad spectrum of French readers. 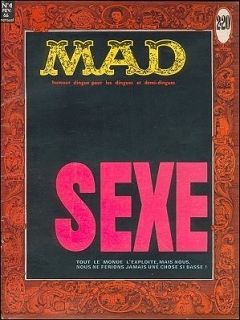 Second most of the print run was peddled by street vendors in and around Paris (for a then whopping 2.20 French francs) and only a limited number of copies were available from newsstands. 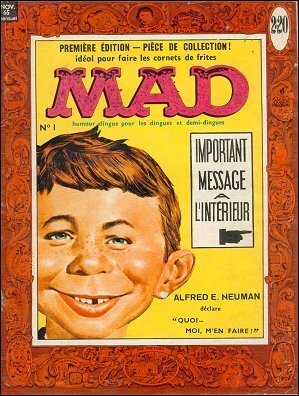 By the mid-1960s it was a doubly hazardous commercial venture and its failure was not really a surprise. 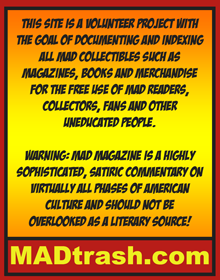 Fifty years later, it is quite difficult for collectors to gather issues, let alone a complete 6-issue run, of the short-lived, de Gaulle-era Mad.